Lucknow : Prime Minister Narendra Modi on Wednesday likened yoga to salt to harp on its significance. 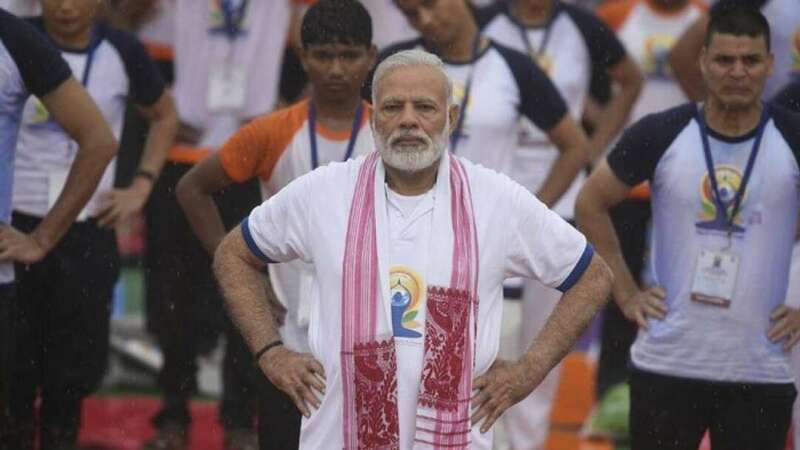 Leading the celebrations of the third edition of the International Yoga Day here at the rain-drenched Ramabai Amedkar Sthal, Modi said: "Salt is cheap and available in abundance. But its absence not just makes food tasteless but also affects organs of our body. Only a bit of salt is used (in cooking) but none can deny its importance, its nourishment value. "Salt is not the sole requirement for life but without it life also cannot run. Like salt has an indispensable place in our life, we can give a similar place to yoga," he said.